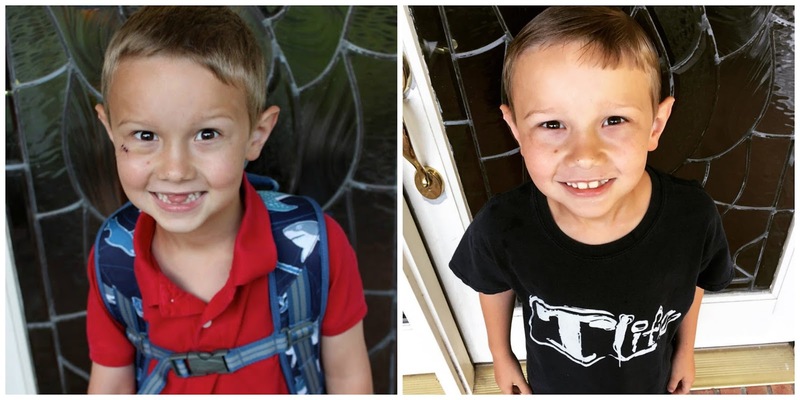 Just like every year, I wanted to do a comparison of our first days and last days of school. They've done some growing and changing this year! I sure do miss James' baby teeth! Adult teeth make him look so grown up! Please note how much harder I try on clothes at the beginning of the year. 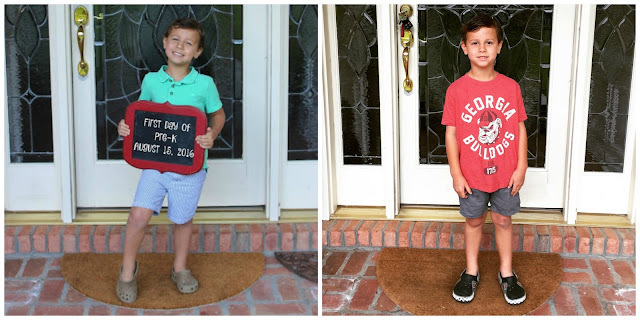 I am PUMPED that the boys have to wear uniforms in the fall because that means polo shirts every day. I love a little boy in a polo!